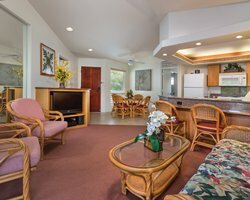 Wyndham Bali Hai Villas resort is nestled high into the terrain of Princeville's resort community! 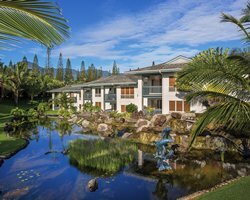 Along with the north shore's sweeping vistas - mountain views that span the entire Hanalei Valley and an ocean panorama that stretches from the famous Bali Hai silhouette to historic Kilauea Crater - you are near two extra ordinary golf courses as well as wonderful beaches, boutique shopping and dining enjoyment. Whether your dream trip includes high-energy fun, quiet downtime or the best of both, our gracious and knowledgeable resort team will make you feel right at home. pull-out sleeper sofa and a full bath. sofa and 2 baths. A car is suggested. Occupancy Tax is collected at check-in. and flocks of chickens roam the island. Reservations. The Resort Also Collects A $40 Occupancy Tax. To Discuss A Late Arrival Or Any Special Needs. Special Needs Accomodations Is 800/251-8736. Papers You Get With Your Reservations.